My mouth is agape and my eyes are wide as I stand and read all the confessions my eyes can reach. I still have no idea what this building is or what I even think about all these things being plastered up for the world to see, but reading them somehow gives me a sense of normalcy. If these are all true, then maybe my life isn’t quite as bad as I think it is. After no less than fifteen minutes, I’ve made it to the second window, having read most of the confessions to the right of the door, when it begins to swing open. I take a step back to avoid being hit, while I simultaneously fight the intense urge to step around the door and get a peek inside the building. A hand reaches out and yanks the HELP WANTED sign. I can hear a marker sliding across the vinyl sign as I remain poised behind the door. Wanting to get a better look at whoever or whatever this place is, I begin to step around the door just as the hand slaps the HELP WANTED sign back onto the window. BEAT ON THE DAMN DOOR!! I laugh when I read the alterations made to the sign. Maybe this is fate. I desperately need a second job and whoever this is desperately needs help. The door then opens further, and I’m suddenly under the scrutiny of eyes that I guarantee are more shades of green than I could find on his paint-splattered shirt. His hair is black and thick and he uses both hands to push it off his forehead, revealing even more of his face. His eyes are wide and full of anxiety at first, but after taking me in, he lets out a sigh. It’s almost as if he’s acknowledging that I’m exactly where I’m supposed to be and he’s relieved I’m finally here. He stares at me with a concentrated expression for several seconds. I shift on my feet and glance away. Not because I’m uncomfortable, but because the way he stares at me is oddly comforting. It’s probably the first time I’ve felt welcomed since I’ve been back in Texas. Don’t forget to check out Me, My Shelf & I tomorrow for the next episode in the CONFESS excerpt chain, and follow along with all the other stops on the 10 Days of Confess chain! 1 print copy of CONFESS! Ok now I've got to read this book! Thanks for the chance to win it! This sounds so good!!! Thanks for giving everyone a chance to win it!!!! Can't wait to see who does! Oh! I have never wanted to read a book this bad! The excerpt is killer! I love Colleen's books - they're amazing! Can't wait to read this.. Thank you.. I can't wait to read Confess! Thank you for this giveaway! Thank you for the opportunity. As with everything written by Colleen Hoover, I can't wait to read this book! *crosses fingers* I'm so excited for this book! Besides,I've always wanted to read a Colleen Hoover book because clearly, I'm missing out on life. Thank you so much for the chance! Thank you for the chance to win this book! I cant wait to read it! Colleen Hoover is now my favorite author & I just found out about her this past December.So far I've read all of her books except the Slammed series. From reading all the excerpts this book sounds like a great read. I hope I'll get to read it soon, Thanks for the chance! Can't even wait for this book! Can't even wait for this! I can't wait for CONFESS!!! I can't WAIT for this book! Colleen Hoover is my favorite author! My absolute favorite author! Thank you for the giveaway! Thank you for the chance! I love Colleen's books! It sounds like a fantastic book, and I can't wait to read it. I love the cover. Thanks for having the giveaway. Hands down my favorite author! I talk about Colleen so much that my husband thought she was my real-life friend, seriously! I've read and loved all her books. Can't wait for Confess! Can't wait to read this! I love everything Colleen Hoover writes! Thank you! getting excited day by day!! I can't wait to finally get this book! Hope Barnes and Noble releases it early like Ugly Love! I always look forward to reading Colleen's books. Thanks for the chance to win Confess! Thanks for tbethe chance. Can't wait for this book! I can not wait to read this book, Colleen is one of my favorite Authors! Thank you for this giveaway! So looking forward to this one next week! Thanks for the chance! I can't wait for this book! I love everything that Colleen writes!!! Thanks for the chancee!!! can't wait to read it !!! Counting down the days until we get a new CoHo book, can't wait!!! So excited for release day! I can't wait!! Thanks for the chance! Can't wait to read this! Love, love, LOVE Colleen Hoover :) Can't wait for this one to come out! This looks good. I have never read Colleen Hoover but I just might pick this one up. Thanks. This is going to be one hell of a book! I can't wait! I LOVE Colleen's books!!! I am looking forward to reading this one too!! I absolutely love CoHo and all her amazing books. I would love to add Confess to my bookshelf :) Thank you for the giveaway! Fingers crossed for the WIN! Thanks for the chance. 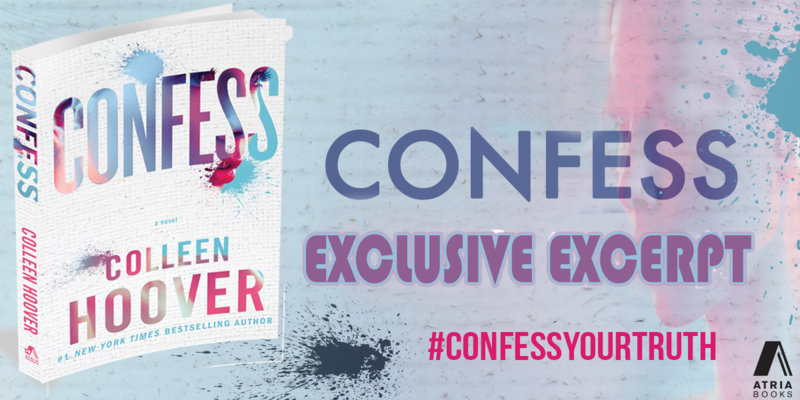 I love Colleen Hoover and can't wait for Confess! I'm soooooooooooooooooooooo excited about Confess!!!!! Looks great! Looking forward to this read. Excited about the release. Gotta love Colleen. Ahhh I cannot wait to read this book! This whole excerpt-giveaway-chain is a really neat idea! I can't wait for this book. I love Colleen Hoover! I NEED OWEN in my life! I need this book! Love the cover! Thanks for the giveaway! I can't wait to read Confess! Nice! I hope I'll win so I get the chance to read this book! I am so excited for this book! Thanks for the chance!!! I cannot wait for this book! I've read all of Colleen Hoover's novels and they never ceaze to amaze me!!! Ugly Love is becoming a movie also and I can't wait!!!! Thanks for the chance! I can't wait to read this book. I am so excited for this one! I LOVE Colleen Hoover! All of your books are wonderful. I even cried just reading the prologue of Confessions! Thank you for the chance to win a copy!! I love Colleen Hoover and everything she has written. Can't wait to read Confess! I'm really hoping I win. I love all CoHo's books and I can't wait to read this new masterpiece. I love all CoHo's books and I'm really hoping I win. So excited for this new book; can't wait!! I'm such a HUGE fan of Hoover!! I can't wait to read this next book! Loving the sounds of this book! Crossing my fingers! Thanks for the chance!! Thanks! Good luck to me! I can't wait to read Confess! Colleen Hoover is one of my favorite authors. Thanks for the chance! 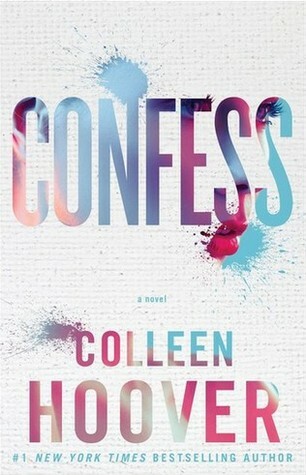 I can't wait to read Confess, I know it's going to be great judging by all the reviews I've been reading!